When we get rain like we have had the last couple of weeks, people on the Treasure Coast begin to worry. Will the U.S. Army Corps of Engineers start discharging water from Lake Okeechobee into the St. Lucie Estuary? Ed Stout at South River Outfitters in Martin County says it's a concern. "Big concern because like any business I have to plan months ahead," said Stout. "Issue with having a lot of rain is it means we get a lot of runoff in Lake Okeechobee," said Jim Sullivan at the Harbor Branch Oceanographic Institute. He unveiled the SeaPRISM Wednesday. "We can tell how much algae is in it," said Malcolm McFarland. 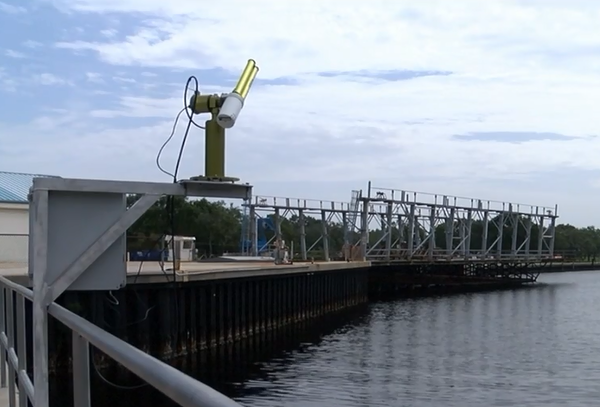 Basically, the device will take hourly readings of the water in Lake Okeechobee and send via cell signal to NASA, which will publish data online. 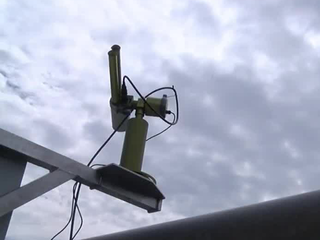 "Useful tool for our monitoring and what controls algal blooms," said Sullivan. "We can go on the website and look at data and say, 'Yeah, there's a lot of algae, so be prepared.'" Scientists hope they will learn from the device and find a solution to these blooms.